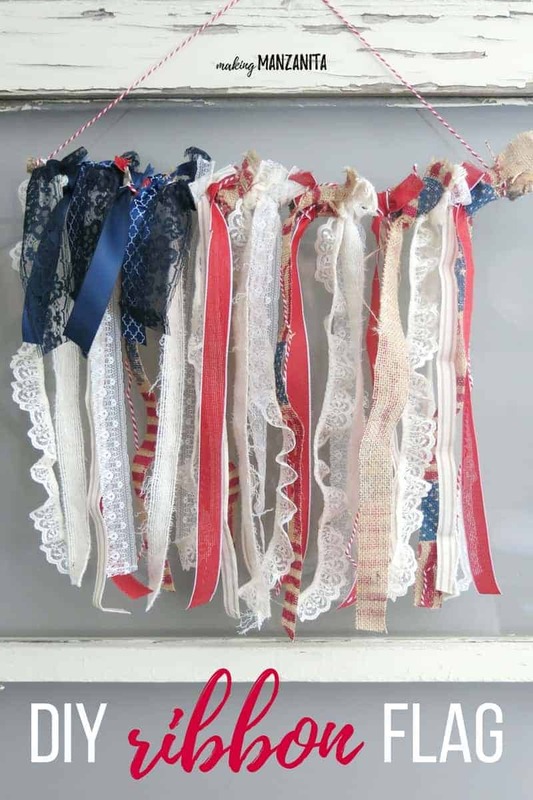 If you are looking for 4th of July Decor for your home or front door, you’re going to go love this ribbon American flag hanging. I love the 4th of July. Next to Christmas, it’s my favorite holiday. There’s something special about a day filled with festivals, family, parades and sunburns. Then it’s followed with a night filled with BBQ and fireworks….all while celebrating America! Sounds pretty awesome, doesn’t it? 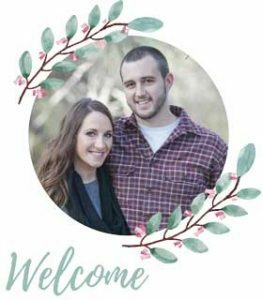 One thing that I am trying to get better at doing this year is making DIYs and decorating for the seasons. Some of you may think it is silly to decorate for seasons other than Christmas, but I love having the decorations changed around every so often. The holidays feel so much more special when there are little reminders around your house. 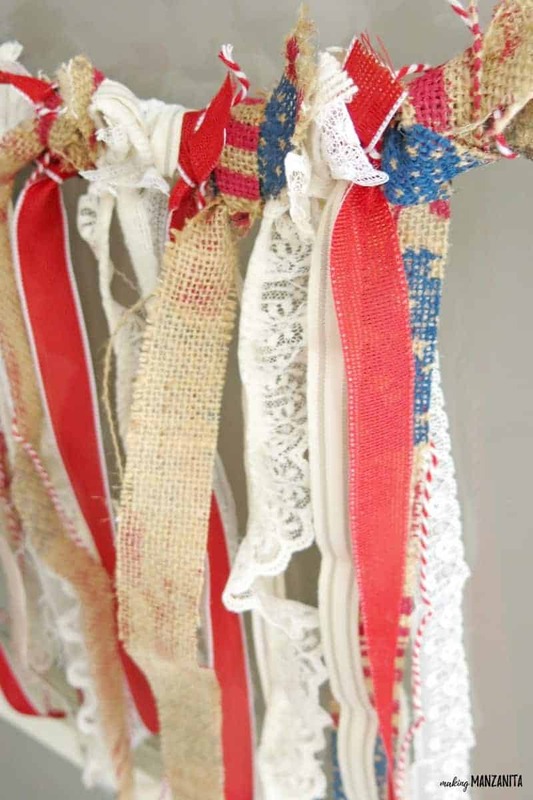 I’d love to hear what you’ve been DIYing lately for 4th of July Decor! Let me know in the comments below. Last July, I was a bit of a hot mess with a newborn in tow. 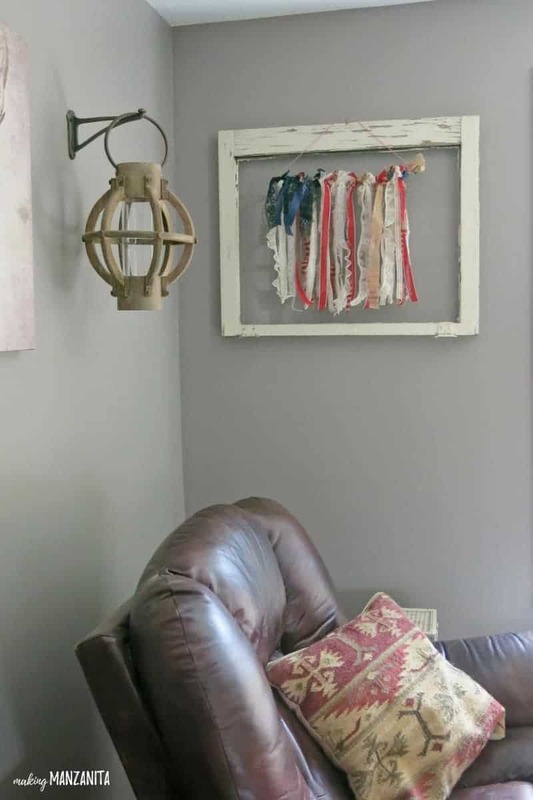 I didn’t get my 4th of July Decor done until LITERALLY the week of the 4th, but I shared it with you anyway because you can be patriotic all year round, right? Today’s DIY 4th of July Decor is part of the monthly Craft Room Destash Challenge, which is always one of my favorite projects every month. I bet you have a lot of these supplies sitting around in your craft room too! I mean, who doesn’t have a branch from outside and some fabric and ribbon laying around!? 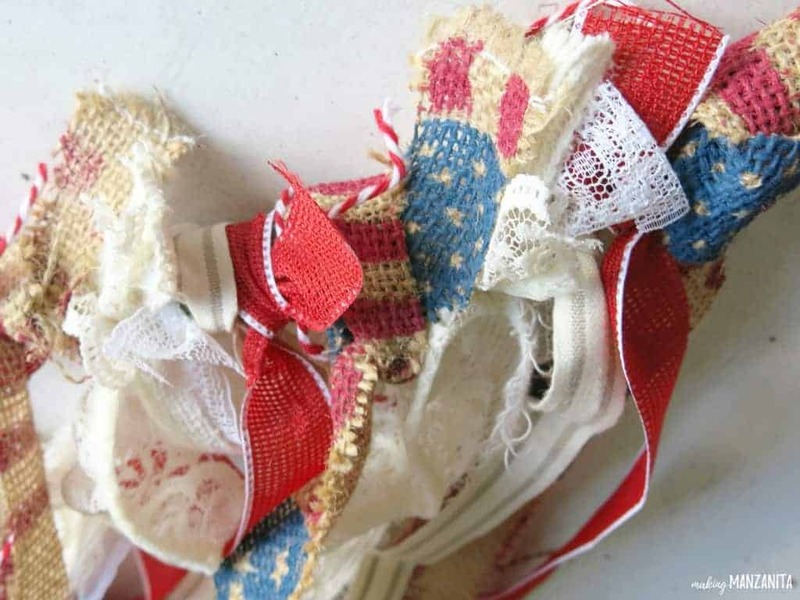 You can help clean up your craft stash by making this fun 4th of July decor. Let’s jump right in and make this 4th of July Decor! 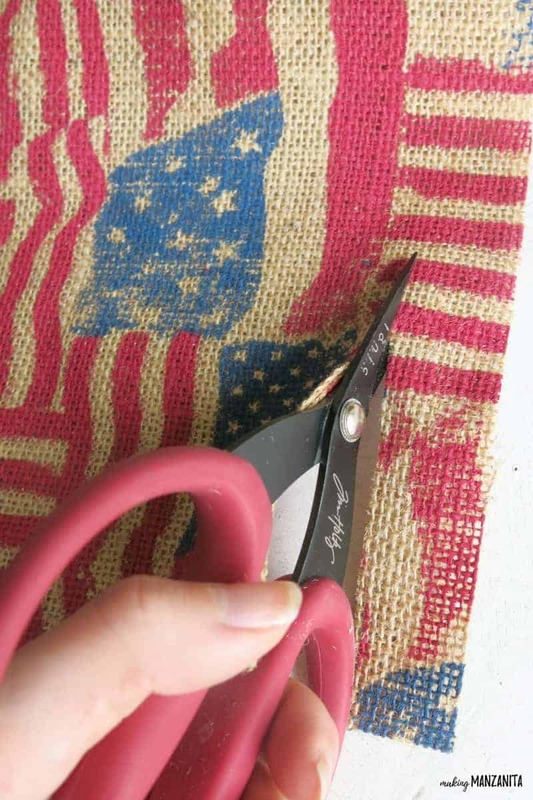 I got my cute flag print burlap at a thrift store for 50 cents a long time ago. I haven’t be able to find anything like it online, so you could alternatively use red burlap or even ripped red fabric if you can’t track something down like I used. 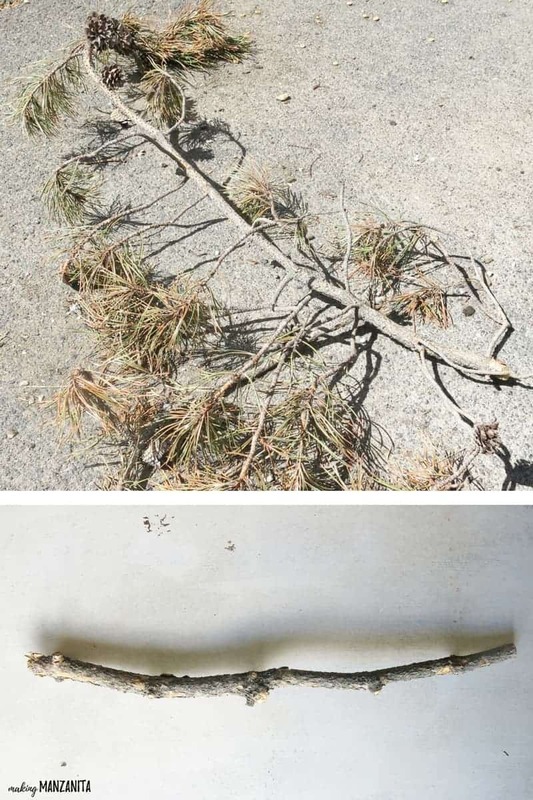 We had recently cleaned up some of the trees at our house, so we had a pile of twigs and I just found one that was relatively straight. I took my pruning shears and cleaned up the twig a bit by snipping off all of the side branches. Then I cut it down to size of about 15 inches wide. After that I rubbed the twig down with a rag to get all of the loose bark off before taking it inside the house. If you are using a wooden dowel, you’d obviously skip this step. Just cut the dowel down to size. I started by cutting my burlap down into strips. I didn’t quite know how many stripes my flag was going to have so I played this part by ear. When it was all said and done, I had 5 strips on the “rag” flag. I cut the burlap about 1 inch wide. To make a ribbon American flag hanging the same size as mine, you will need strips at least 17 inches long. I continued cutting down my fabric strips and ribbon to about 17 inches long and started making a pile. Step 4. Tie strips to twig. 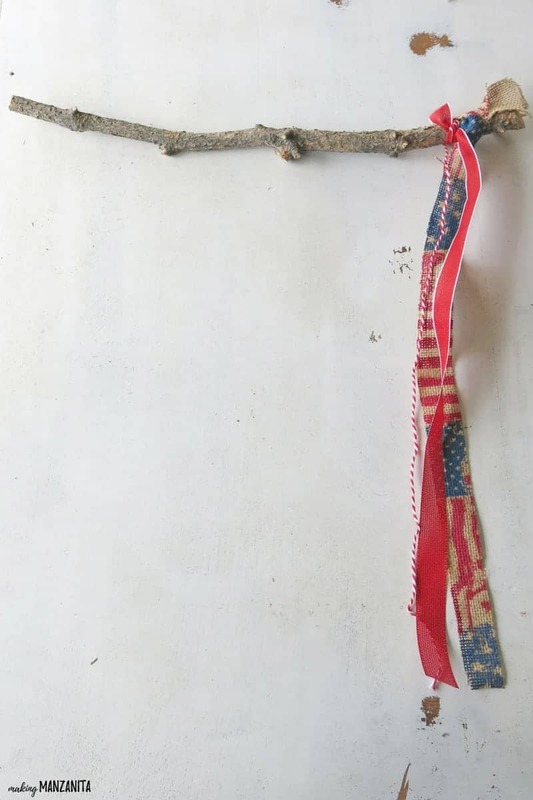 Seriously guys…yes, this 4th of July decor really IS this simple. 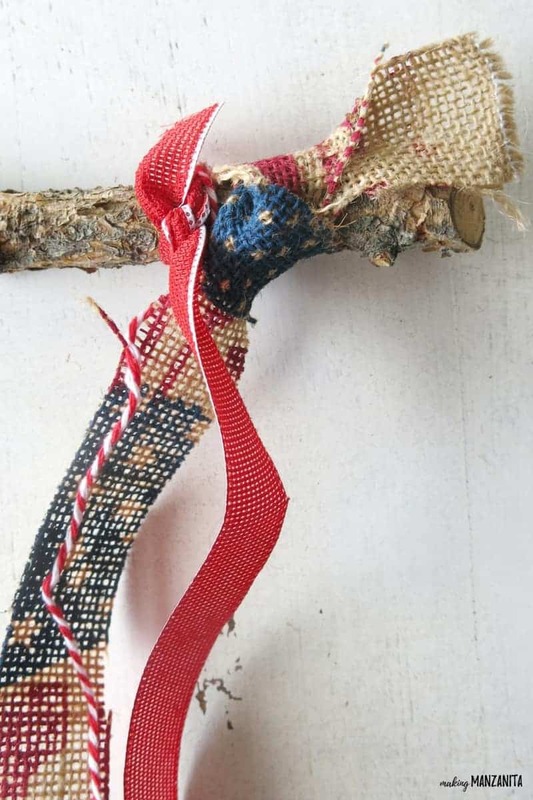 You just start tying the strips of burlap, twine, ribbon and fabric to the twig. I did about 3-4 different shades of red and white, alternating in stripes as I made my across the twig. 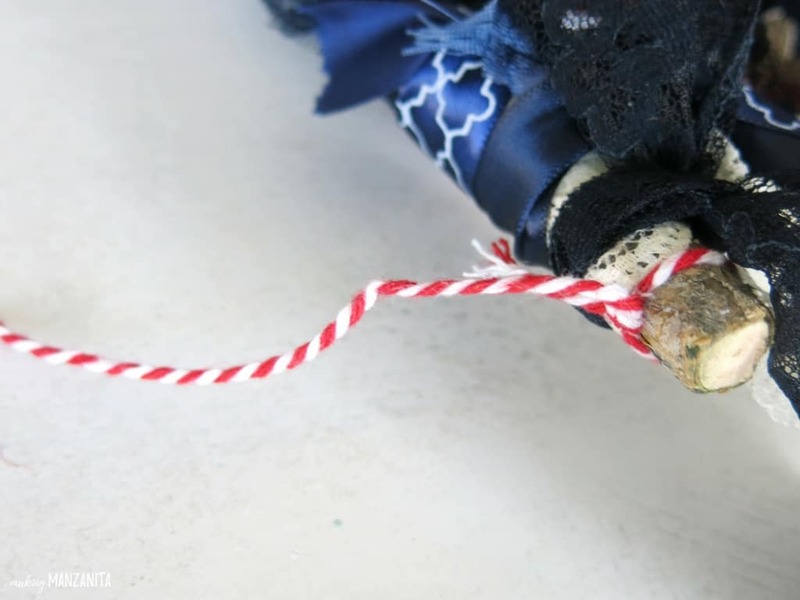 If you are trying to make this a certain size, remember you will lose about 2 inches of length at the top of the ribbon where you tie it on. Step 5. Add blue ribbon. Once you’ve made it all the way across the twig with the strips of red and white ribbons, you can add in the blue. 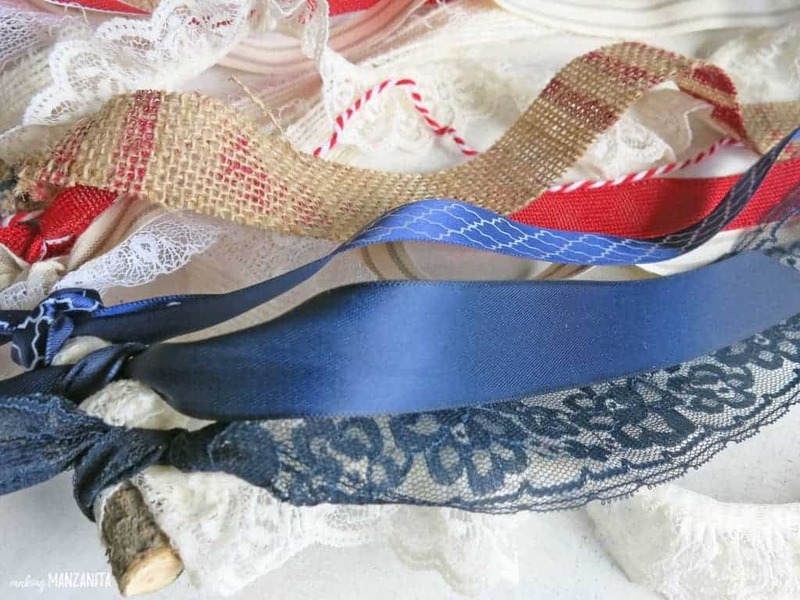 I just chose some simple navy ribbon and lace that I had on hand. 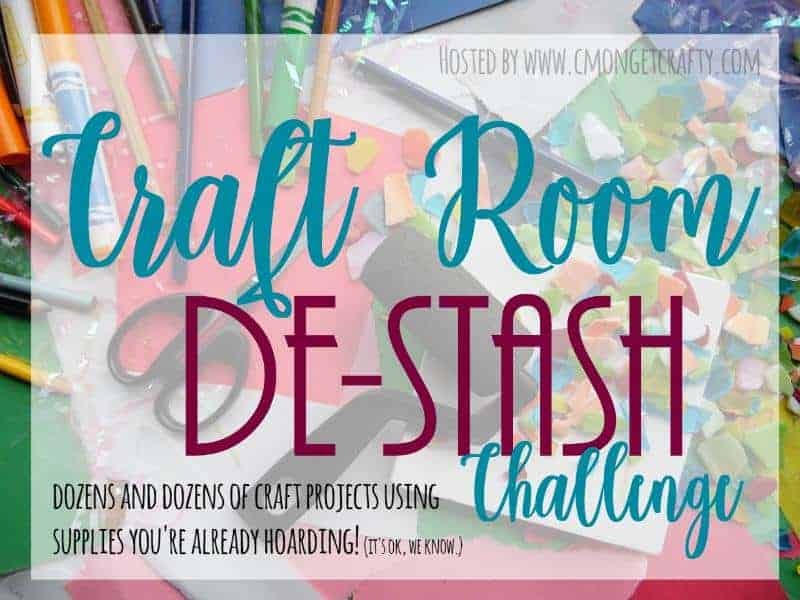 Remember this is all about using what you have so you can clean up that craft supply stash! I tied the blue ribbons right in on tip of the red and white that were already there. Then I cut them down to size, so they formed a square (about 6 inches or so). Step 6. Add twine hanger. The hanger so was simple. 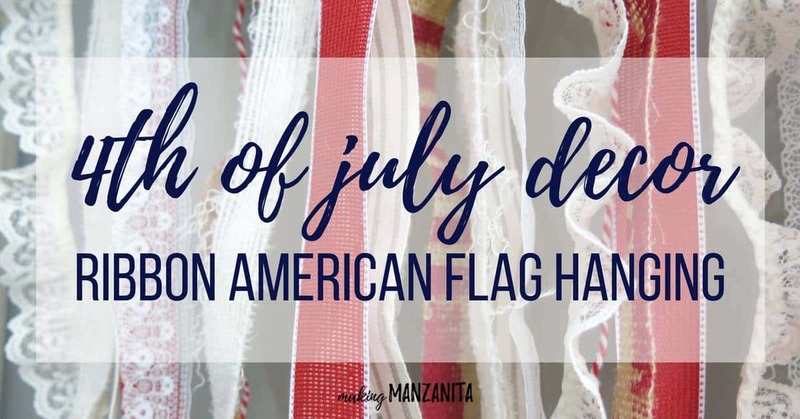 I grabbed my red & white baker’s twine, cut down to about 30 inches long and tied the ends on each side of the flag hanging. These vintage windows are hanging on each side of our main living room window and I feel like they’ve been missing a little something. 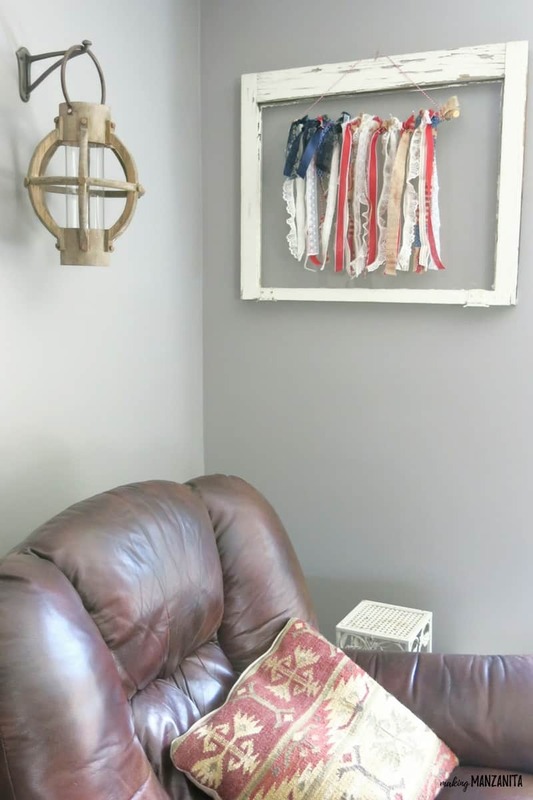 I had an idea in mind, but until I am able to get that DIY done, these adorable little ribbon American flag hanging will be making this little corner happy. I think this USA rag flag would look awesome hanging on your front door as decoration for the 4th of July too! But I just love my bright and cheerful garden hose wreath too much to take it down right now. Sooo cute Chelsea I love it!! !❤️ It’s looks cute in your window frame too!! Thanks Mama! I love the way it looks in that window too! I absolutely love this. I don’t have much ribbon in my destash, but my mom does, I may have to go raid her craft room to make my own, lol! I like how you displayed it in an old window frame too, looks great like that. Pinning now, thanks for the inspiration! Thanks Molly!! Ya I bet she’ll never know if you raid her supplies, she may even thank you for cleaning it up a bit! 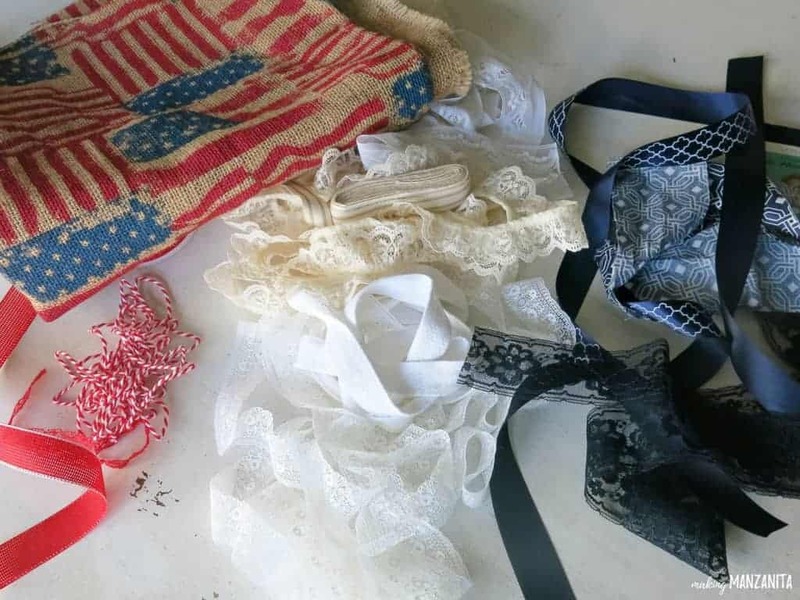 I get a lot of my vintage lace ribbon at yard sales and estate sales too! 🙂 Have a great week. Its great how much Americans celebrate their national holiday. This little swag is perfect for it. Its fun and fresh and different, love how you used burlap. I love everything about this! 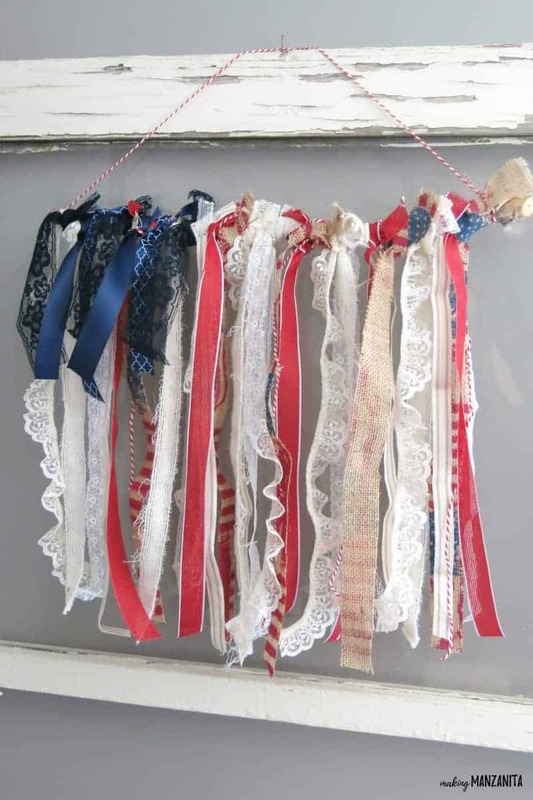 I always have leftover ribbon, fabric, & burlap bits, just missing the lace. Something else to add to my “look for” list when I’m out thrifting! The frame really complements your ribbon flag! Looks great! Thanks Lydia. I knew that window was missing something, so it worked out perfectly. Chelsea this is so pretty. It is so patriotic. It looks great in the window. 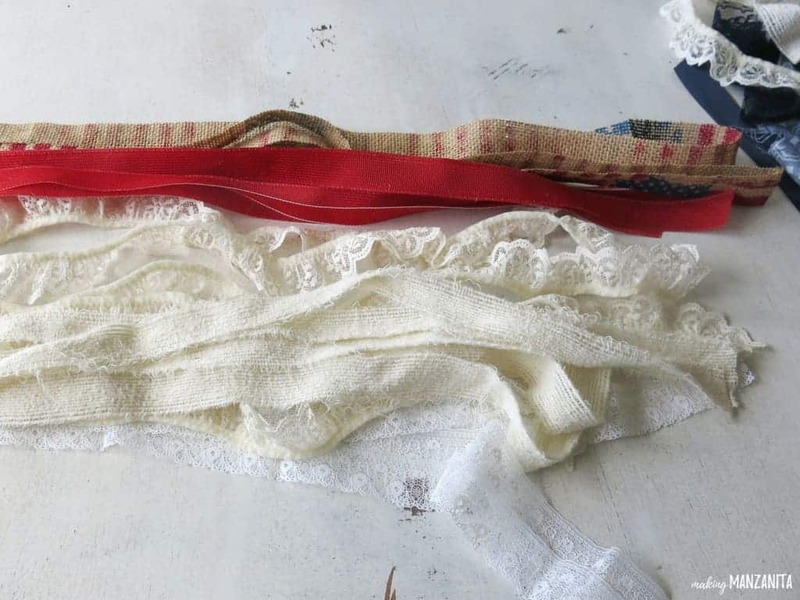 I have so much scrap ribbon in my stash it isn’t funny. Thanks for the inspiration on how to use it. BTW, 4th of July is my favorite holiday too! Oh, I am in love with your american flag blurlap find! And I like the simplicity of this project. It get’s me thinking what other “themes” you could accomplish with it! Perfect! I love this! It would look cute on the front door too.